Football is, by far, the most popular sport in the world. The sport has been played for centuries and is currently played by over 250 million people from more than 200 countries around the world. Naturally, the sport has seen several great players grace it over the years, with many of them etching their names in history books because of their feats and achievements. Since football matches are decided in terms of goals, the ability to consistently score them is understandably admired and worshipped, making goalscorers celebrated figures. Now, different sources cite different figures. For example, according to the Guinness world record, Pele is the greatest goalscorer with a staggering tally of 1,281 goals. However, this figure also includes unofficial goals scored by the Brazilian legend. This list, on the other hand, has been compiled based on the records from Rec.Sport.Soccer Statistics Foundation (RSSSF), which only recognises goals scored in official matches - meaning that contrary to Guinness' records, Pele isn't number 1 on this list. Note: A couple of inhuman players who go by the names Lionel Messi and Cristiano Ronaldo are still actively playing and score goals more often than not. As a result, depending on when you're reading this, some numbers may vary. Brazilian star, Tulio, better known as Tulio Maravilha (Wonder Tulio), was an exquisite striker. 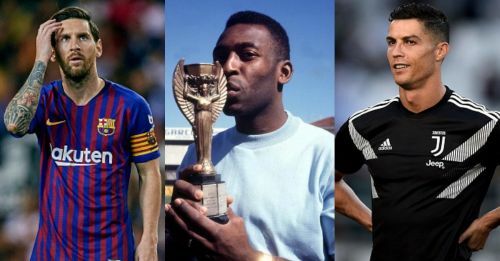 Over the course of his career, he played for more than 25 different clubs - most of which were in different Brazilian divisions - and became the league's top scorer in 3 different league seasons. 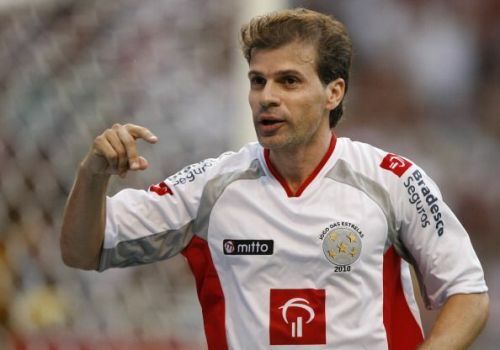 Apart from Brazilian clubs, he played for Swiss side, Sion (1992-1993), and Hungarian side, Ujpest (2002). He also represented the Brazilian National Team 15 times and scored 13 goals, never losing a game for the country. During a glittering career that spanned 24 years, Tulio officially scored a total of 575 career goals, although he is certain he crossed the 1000-goal mark (including goals in amateur and friendly matches) in 2014.